PieSync is an application that will allow you sync your contacts to Command from other contact databases you use. PieSync’s two-way syncing keeps your data current in both systems to allow you to get the most out of your customer data. 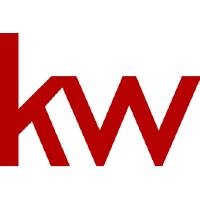 KW associates have access to special pricing with PieSync. You get one free connection (they will automatically make your largest connection free), then you get 50% off on any of PieSync's pricing plans. To learn more about PieSync's pricing plans, click here. 1. Log in to agent.kw.com with your KW login credentials. 2. Click your name, at the top right of the page, and choose Settings from the drop-down. 3. Find PieSync, in the Connections list and click Connect Account. 4. For now, if you had an account with PieSync prior to using Command, you will not be able to use the connection in Command. If you do not have an account with PieSync, read PieSync's Terms and Conditions and click I Accept. 5. From here, find and click on the app(s) you want to connect to Command, then follow the prompts to complete the connection(s). To learn how to setup your connections and to get started with PieSync, click here. If you have questions, please contact KW Support at 512-306-7191 or support@kw.com.